As per Bill 101, Québec children attending public school or a subsidized private school must be educated in French until the end of high school (unless they meet the requirements to receive a certificate of eligibility for English instruction). 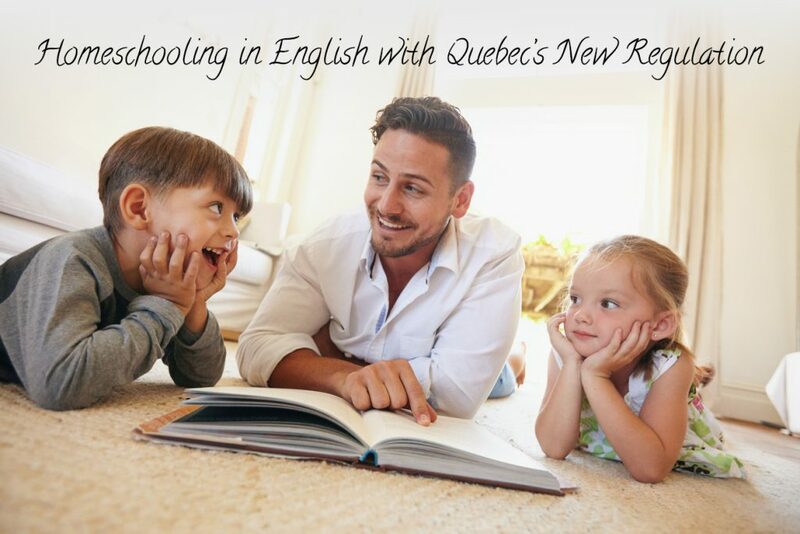 Prior to the passage of Bill 144 and the release of the Homeschool Regulation, Québec homeschoolers have been homeschooling in many languages, whether it be French or English exclusively, a combination of both, or a combination including other languages. Recently, we have heard from many families who have been homeschooling primarily in English, but may not be able to obtain an English eligibility certificate. If you are in this situation, how does the new law impact you? As a starting point, the law and regulation does not include any requirement that your entire homeschool curriculum be French, or that you teach your children exclusively in French. However, it is required (S. 15(4)(b) of Bill 144, and S. 4(2) of the Regulation) that your children be taught French, even if you do not speak French and homeschool primarily in English. Even if you have an English eligibility certificate, French remains a mandatory subject. While this may seem daunting for parents who are less than fluent in French, approach it with the same creativity and insight you use when planning the other subjects. Register your children for a summer camp or extracurricular activities where they’ll be immersed in French. Access French books and videos from your local library. Check out the many online or computer-based French curricula, and learn along with your children. Consider hiring a tutor to assist, especially in gaining practice in speaking French and for writing. Be sure to include the four components of language in your French program: speaking, listening, reading, and writing. 3) You have not applied for the eligibility certificate and would like to obtain formal documentation of eligibility, even if you do not need it at present. Transitions can be stressful and the new homeschooling law presents some challenges. However, despite the increased paperwork, our freedom to homeschool our children in the way they learn best has been maintained, including homeschooling in English. If you have further questions or concerns, don’t hesitate to contact us.